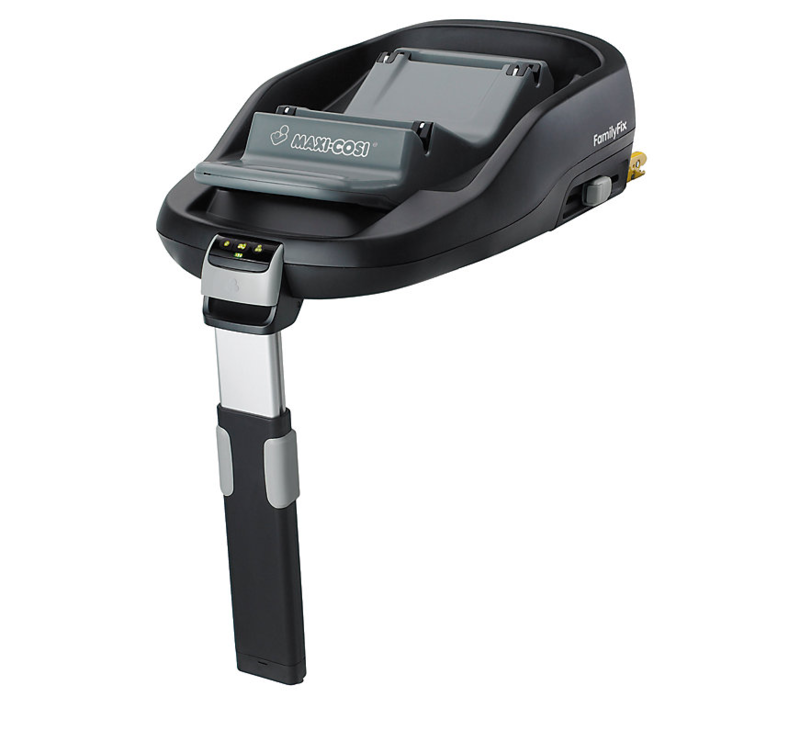 The Maxi-Cosi FamilyFix base can be fitted to the isofix points in a flash. The Pebble infant car seat can then be clicked on and off in seconds, making it stress free and secure when you’re in a hurry. No messing around with seat belts in the rain, this base was a lifesaver with my first child. It’s so easy to fit, once you’ve done it a couple of times it takes seconds to do, meaning you can easily switch it between cars if needed. The Pebble or CabrioFix infant carriers can be used with it, clicking into place with a reassuring beep and also giving a green light indicator for your peace of mind, so you know your baby is secure. It fits the MaxiCosi Pearl when your child grows out of the infant carrier. Doesn’t support rear-facing once your baby has grown out of the baby carrier- so you’ll need to check your child is the right age and weight to forward face. Doesn’t come with the seat belt option if your car doesn’t have isofix points. This is a really useful bit of kit and saves you time and hassle when putting your baby in the car in their infant carrier. However, it doesn’t support rear facing as your child grows, so I would recommend getting the Maxi-Cosi 2-Way Family Fix base instead. I would definitely recommend this product. 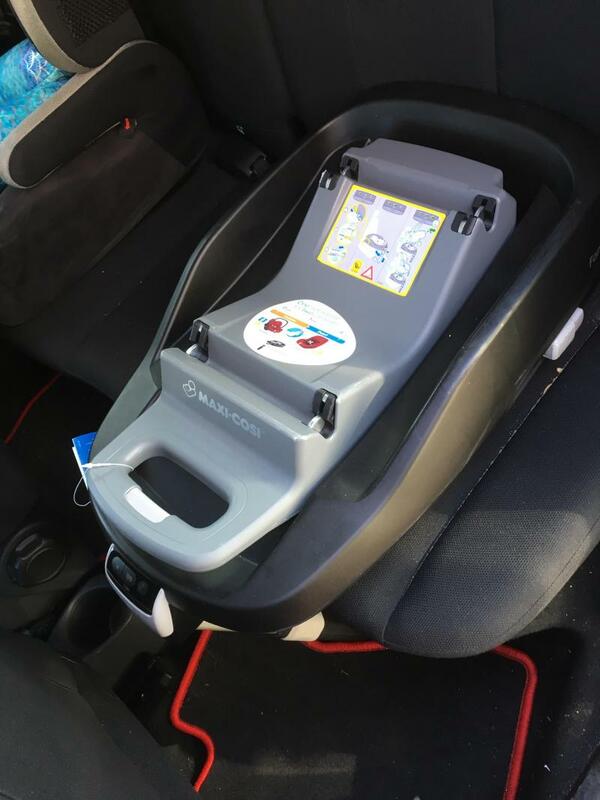 I used this family isofix with the maxi cosi pebble. It’s easy to install and there are three lights at the front that tell you you have installed it correctly. The car seat slots into the base easily and detatches just as easily with a pull of a lever. I couldn’t imagine having to attatch the car seat with the old seat belt method! My only criticism of this product is there are these buttons at the side that are fiddly, I spent awhile playing around with them before I figured out how to get it to work. This is possibly the best product I have bought for the baby. I have both the Pebble and the Pearl car seats as we often babysit for an older family member as well as our own son. The other car seat we have also has an isofix base but I much prefer this one. You can swap the seats out easily and it makes it far simpler to nip into a shop with a sleeping baby and safely get them back into the car. Makes me feel safer with my car seat locked onto the base and simple to move across cars too. Used for both sizes of car seat. I never had an isofix with my first child so when I was informed about this with my second I thought let’s have a go! I was shocked by the price but decided to go for it! It’s amazing! No messing about with seatbelts, double checking it’s done right and tight enough! You literally click it and it makes a sound and goes green if correct! There are 3 green lights... one for the isofix, one for the stand connecting to floor and one for the actually car seat! The light goes red and constantly beeps if it is not fitted correctly, depending on which light changes red shows you what is wrong. Making it is easy to fix! It gives you that extra security and reassurance too on journeys that your baby is safe! Great product!!! This product was well instructed and easy to fit to ensure maximum safety for my child, the product is fairly heavy and a little bulky but overall served us very well. Managed to get my car seat and base for £50 for both off a family friend as they’d only used it in their car as spare. 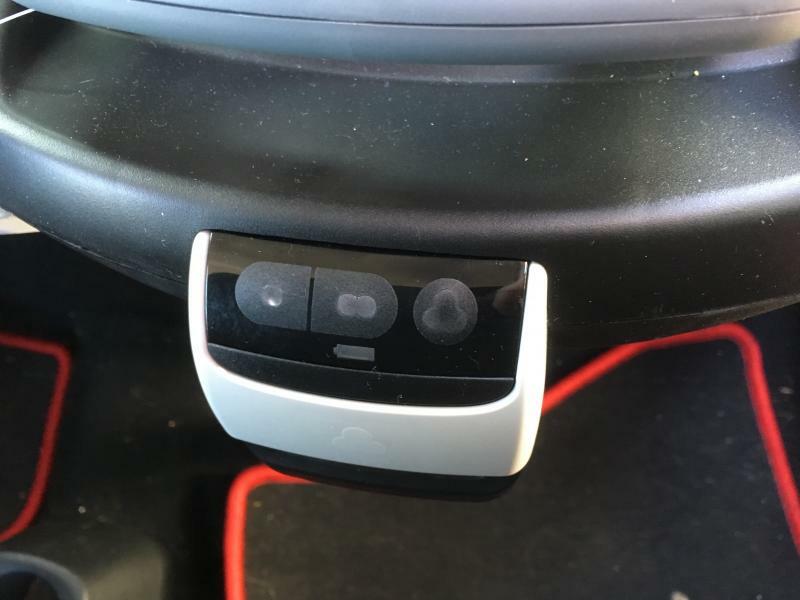 Easy to install, very east to put car seat on it and extra security with the lights and beep telling you car seat is in securely and correctly. There’s is also a beep letting you know base is in correctly or not. Godsend for getting baby in car if it’s rainjng so no faffing with seat belts etc, just lift car seat off pushchair and in car into base in seconds. Dead easy to remove base if needing to use car seat and base in another car. Would definitely recommend. I have just switched to a older seat but have chosen one with the isofix built in as I like the extra security it offers. The family fix isofix is simple to fit, it lets you know when it’s securely fitted with a bleep and the 3 lights showing at the front which is good reassurance for a parent/Carer. 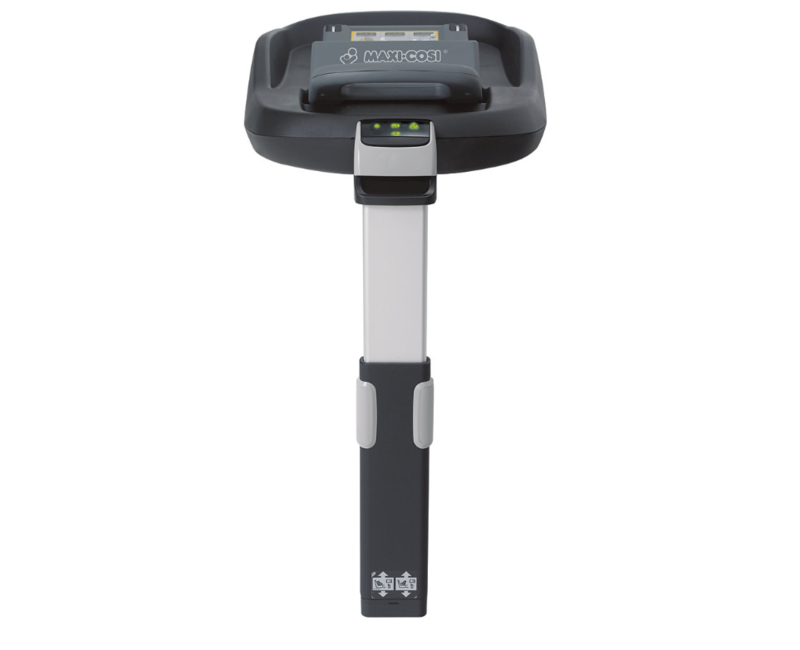 I would highly recommend this isofix base. The only thing I found was because I have a small car it pushes the passenger seat forward a lot to fit it in leaving less leg room for long journeys however a lot of isofix bases do this. This maxi cosi product is brilliant. Not only is it reasonable priced but it can be used with the ingant car seat and the toddler car seat so there is no need to have to buy another base. The 3 light system identifies easily if the base has been fitted correctly providing reassurance for parents regarding their childs safetly. I really don't know what I would do with out this base! We currently have a 3 door car and this base makes putting baby into the car so much easier. Once installed all you do is place the carseat on the base and wait for the green lights then push a button too release. 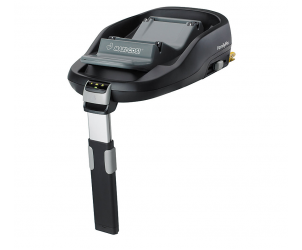 After lots of research we settled on this isofix base to go with our Cabriofix. I haven’t yet used it (baby due any day now) but it was really easy to fix in and adjust whilst heavily pregnant! I had to move it from one side of the car to the other as driver’s seat was knocking it which made the alarm/lights go. Great to see the 3 light system working so well. It was really easy to pop out and put in the other side of the car. Strong isofix points with the ability to strap in with a belt too!! I invested in one of these for our second baby. Doing the school run filled me with dread twice a day until I got this. No more faffing with seatbelts and in saved me about 20 mins a day! When we went away in our caravan we had to take the base out as otherwise we lost a footwell for the dog to travel in which was a pain as it meant the seatbelts had to be used again and I found un-installing it a challenge sometimes as I’m quite small and it’s heavy. But it was a godsend, but if they could remove the tension rod to free up the footwell, this product would be amazing! Putting in baby seat in the car with ease. 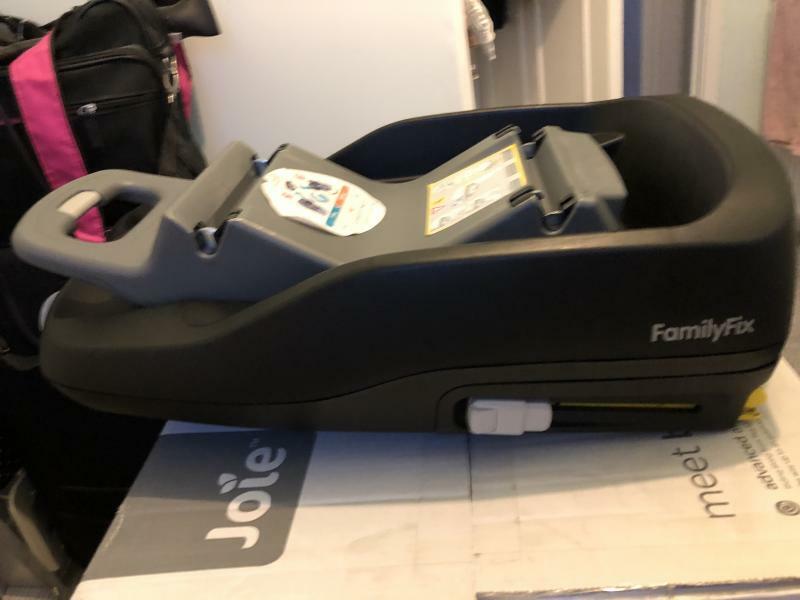 I’d never had an isofix base with my first two children and we were moving town and knew I would have to drive on the school run everyday so we decided to get one. It is so easy to use and install and makes school runs a dream. No more fumbling about with the seatbelt, just pop the seat on the base and it’s secure. Absolutely love our family fix isofix base, we have 2 for both our boys and they are super easy to use and look good too. I would be without my car seat adaptor now. I'm expecting twins this time so I have bought another one, they save all the hassle of strapp9ng in and checking seat belts are tight every time. I love this product. Makes putting the baby's car seat in and out the car nice and easy. There's no faffing around trying to connect a seatbelt and the lights on the display show when everything's connected correctly. Once you know how to install the base it is so easy to put into and take out of the car, however, it is quite heavy so I can't imagine anyone would want to do this very often. I also had a few problems extending the leg but once you know how to do it it gets easier. I love the convenience of the clip on car seat base however do find it heavy and bulky. It is much easier to manoeuvre the car seat in and out with the knowledge there is 100% safety every time. Trying to move the item from the car can be difficult but once in you can forget about it. I wanted a safe car seat for my little obe. I really like this product, it's great for quickly putting car seat in and out, especially handy when it's raining. It also reclines which I found really useful when my daughter was bigger. 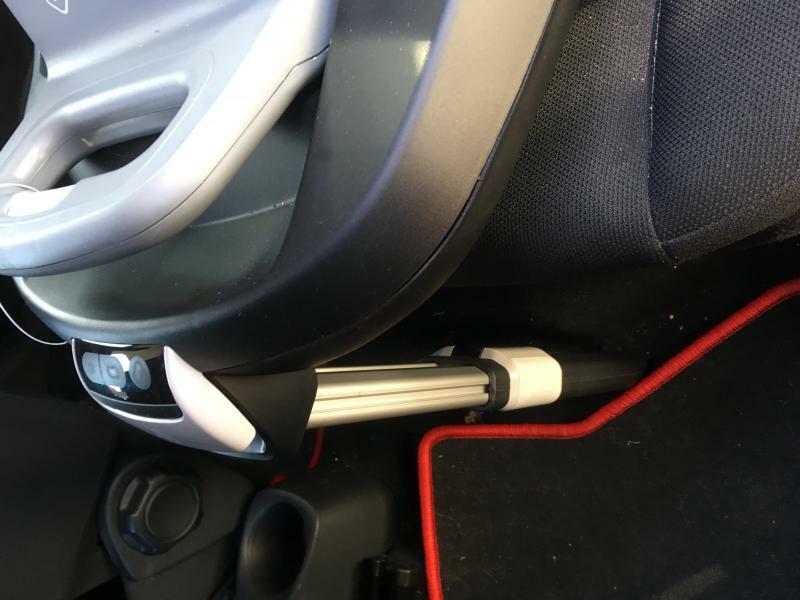 This isofix base is easy to fit and use in my car and the maxi cosy website is great for finding out which car seats and bases fit your car. The only downside is that there is a loud rattle from the isofix base. I have been told by maxi cosy that this is normal so it’s more of an annoyance than anything. The convience of this product is just amazing. When I had my 1st son 10 years ago isofix was not about. But when I had my 2nd child I found this product and never had to strap the carseat in manually again. This is an investment not to be missed. It make getting the car seat in and out of the car so much easier. The isofix base is very secure and also has a leveller to show if it is fitted correctly. The Familyfix base from Maxi-Cosi uses Isofix attachments to provide optimum safety when installing your Maxi-Cosi Pebble, Maxi-Cosi Pearl or Maxi-Cosi Cabriofix car seat. 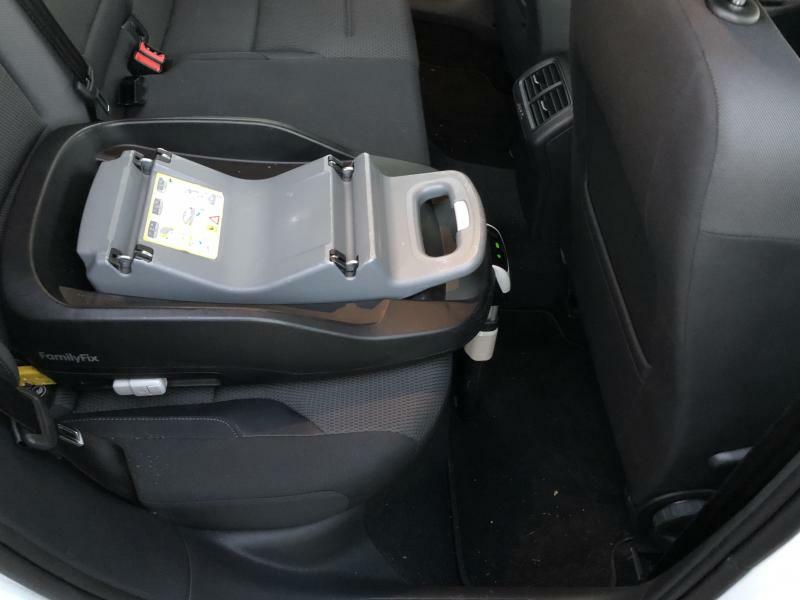 The Familyfix base stays in your vehicle so you can lift your little one's car seat in and out with ease, then click it back into the base at the start of your journey for a simple, safe and rapid installation everytime. It works with ISOFIX and offers click-and-go installation for Pebble and Pearl car seats.